Our British charcuterie is hand-crafted with artisan care from the finest ingredients using wild game from the Scottish Borders. We source only free-range, rare-breed farmed animals and wild game. We source Shetland and Soay sheep from Northumberland. They are 4 year old wethers, raised by the Northumberland Wildlife Trust as part of a Conservation Grazing project. 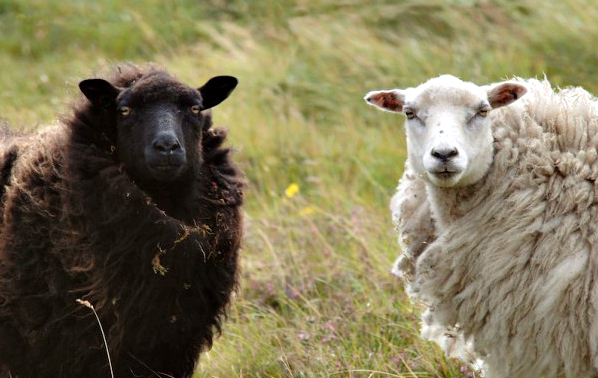 These rare-breed “unimproved” breeds, hardy little sheep live on wild grasses and herbs. The meat is lean with superb flavour and fine texture. The Shetland is classed as a primitive or ‘unimproved’ sheep; however its versatility in providing tasty, sweet meat, highest quality fine fleece, ease of handling and attractive appearance have made it a popular choice for a whole range of people. Our pork is sourced from pedigree Mangalitza at Dunglass. These unequalled welfare, pigs are reared outdoors, by Simon Usher. They are free to live in the woods and eat home-grown food. They root and wallow and live their whole lives in family groups.